Travel with your Pet to Vancouver! We want to help you bring your cat or dog on vacation to Vancouver! 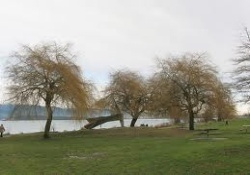 Vancouver is a city of parks at the beach, and parks within the city. Then there are the parks outside the city which are...wilderness parks. Here is a map of city parks. Please read the travel tips if you go out into the wilderness with your pup. And don't miss the by owner vacation rental page - perhaps staying in a pet friendly hotel is right for you, but perhaps a someone's rental home would be more cozy! New! wheelchair accessible by owner rentals. Want to do a by owner search for yourself? Try Vrbo/Homeaway- filtered for the Vancouver and pet friendly - just select your dates and how many people you need to sleep! here is the VRBO Vancouver Island link. So there are plenty of places to plan for fun with your pooch. There are also plenty of pet friendly restaurants so you can plan a lovely day with your dog, before perhaps getting some pet sitting so you can go have some human fun (check our fun for you page for that! 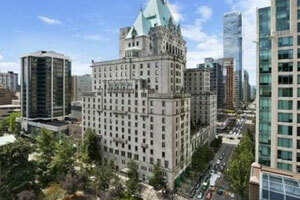 Pet Friendly Hotels in Vancouver, Canada! See our selection! Pet Friendly Hotels and Vancouver! Type "Vancouver" and your dates! Best Western recognizes the ever growing needs for pet friendly accommodations. "We strive to offer our guests and their furry friends a comfortable stay and have done our best to ensure consistency at all of our pet friendly properties. There may be a maximum $20 per day charge for each room with a pet or multiple pets or a maximum per week charge of $100. A refundable damage deposit of up to $50 per stay may be required of all guests with a pet." Pet Friendly By Owner Rentals in Vancouver See our selection! 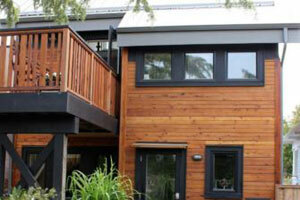 Rental Suite in Contemporary House in Beautiful James Bay- sleeps 3, 1 bed, 1 ba -Book this! Trip Advisor FKN2381262 -Our Vacation Rental Suite is cute one bedroom suite in newly renovated house in beautiful James Bay part of Victoria. It is 2 blocks away from the ocean, 5 minutes walk to Fisherman's Wharf, 15 minutes of walk to the Parliament buildings, 20 minutes of walk to downtown, close to shops and restaurants. The suite has a private entrance, private bathroom and solar hot water. and more pet friendly by owner rentals in Vancouver! 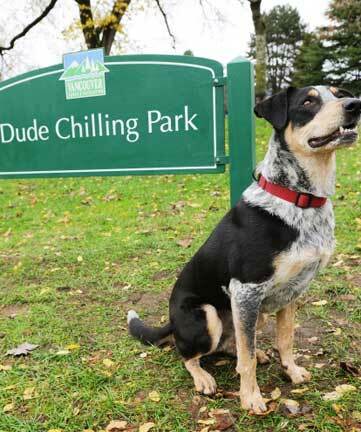 Pet Friendly Dog Parks in Vancouver See our selection! and more dog parks in Vancouver! Pet Friendly Restaurants in Vancouver See our selection! Northwest Bar & Grill: Featuring fresh local ingredients, regional wine, locally crafted beer in a comfortable environment. 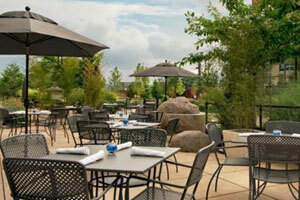 Pets allowed in outdoor dining area. Part of the Hilton Hotel. and more pet friendly restaurants in Vancouver! Pet Day Care in Vancouver! See our selection! 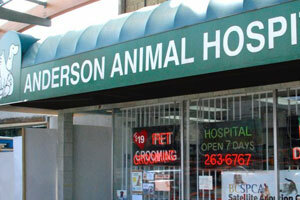 Wonderfully kind & attentive animal hospital with daycare, grooming, & boarding services available. 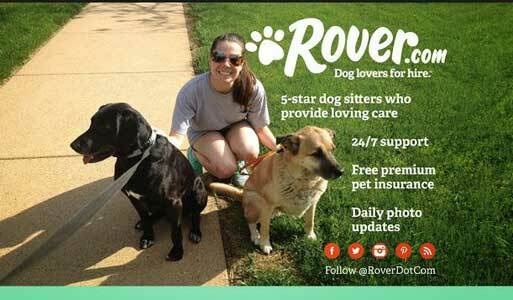 Great convenient for the busy pet owner, also fantastic options for pets needing medical boarding care options. and more pet daycare facilities in Vancouver! Vets in Vancouver! See our selection! and more vets in Vancouver! Having Fun in Vancouver! See our selection! Many people can say they’ve seen seals from the shore or aboard a boat, but rarely does anyone get the chance to interact with them. Now you can! 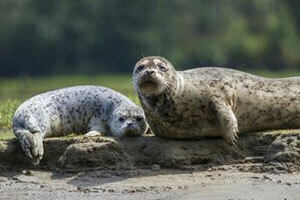 This 4.5-hour excursion takes you right into the water with the plump pinnipeds. After a short plane and boat ride, jump into the water, snorkel gear firmly affixed to your head, and get ready for a once-in-a-lifetime opportunity. The seals may opt to watch you swim from the rocks, but there's plenty of other sea life to check out on this fun excursion, open to snorkelers of all skill levels. and more fun things to do in Vancouver! Traveling with a pet to Vancouver! Help Your Dog Hiking in and Around Vancouver! The biggest recommendation is: keep your dog on a leash in the wilderness. The biggest recommendation is: keep your dog on a leash. Strange as it may seem, the dangers to your dog come from wildlife. And if he isn't on a leash, really, really bad things will happen. 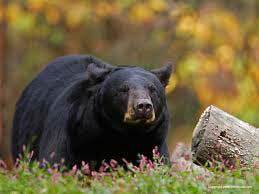 Large animals such as bear, deer, elk, moose or cougars are the ones people are often aware of but your dog can suffer serious injury or discomfort if it encounters smaller creatures like a skunk, porcupine, weasel or coyote. and more tips about traveling with pets to Vancouver! Spend some time on our videos page, which shows videos of pet travelers having a great time in Vancouver. Our travel store can help outfit with the latest great products for your travels. Please take a look at our blog, and other cities we have done research on on our main map! Have a question? Post it! We will answer, and invite others to do so as well. This is a community! And thankyou for coming to our site! This is the www.petfriendlyvancouver.com page of thewww.petfriendlynorthamerica.com global website.